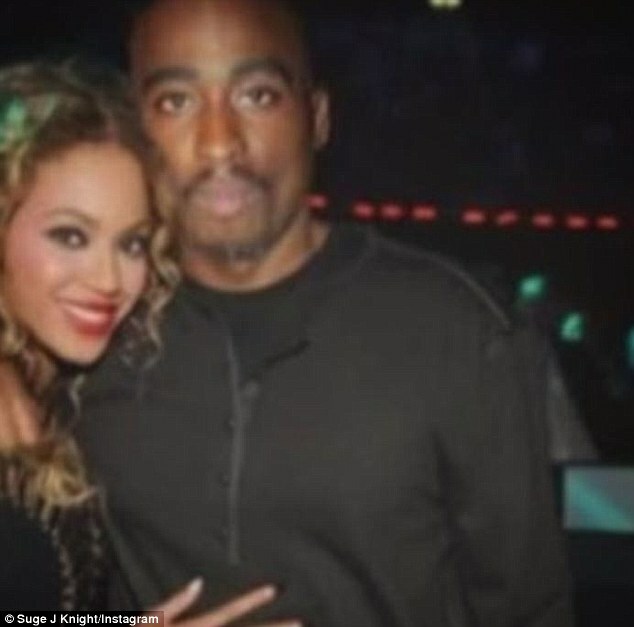 Tupac Shakur is still alive, according to the son of imprisoned Death Row Records owner Marion Suge Knight. 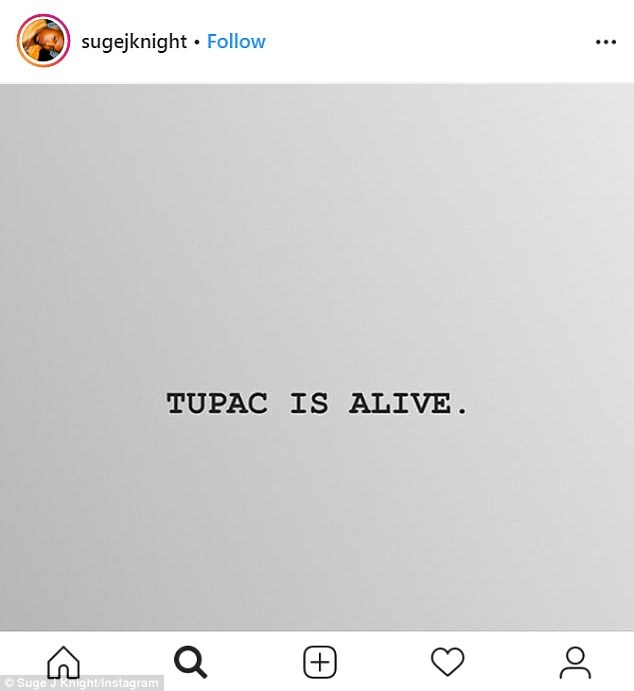 Suge J. Knight took to Instagram with a series of posts raising the idea that the fatal September 7, 1996 shooting in Las Vegas of the rap icon was a hoax, and that Shakur is alive and well in Malaysia. 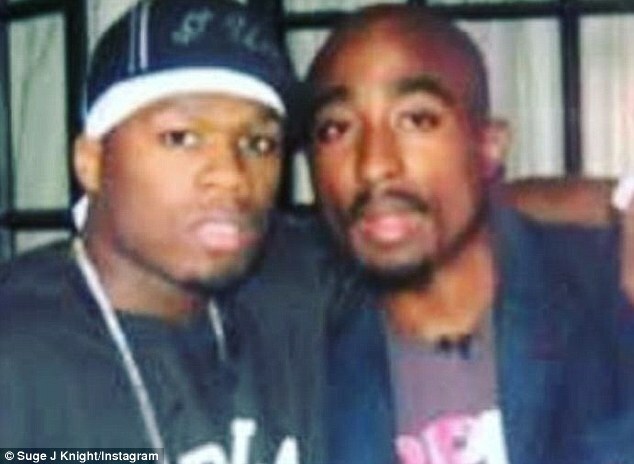 He added shots that showed a man who looked like an older incarnation of the California Love rapper posed in a selfie, as well as with artists such as 50 Cent and Beyoncé, with both of the latter in current day forms. Suge J. Knight made numerous references to the involvement of the Illuminati with the alleged cover-up, and said he was ‘not on drugs’ in raising the jarring allegations.